Building a house from scratch can be daunting. No matter how well the planning, time and resources often overshoot. The associated costs once factored in lead to higher than expected cost of construction. Cost of raw material is most likely to take the biggest pie of the total expenses in building a house. But have you ever thought of ways to bring this cost considerably down? 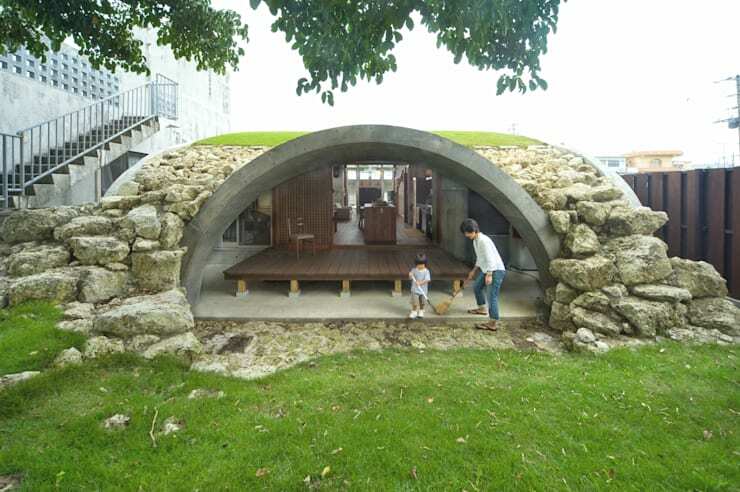 Think beyond the traditional building materials and there are quite a few interesting possibilities. Using cheap materials for the house can bring the overall cost way down. Here we look at some cheap building materials that have been used ingeniously for building unique houses. 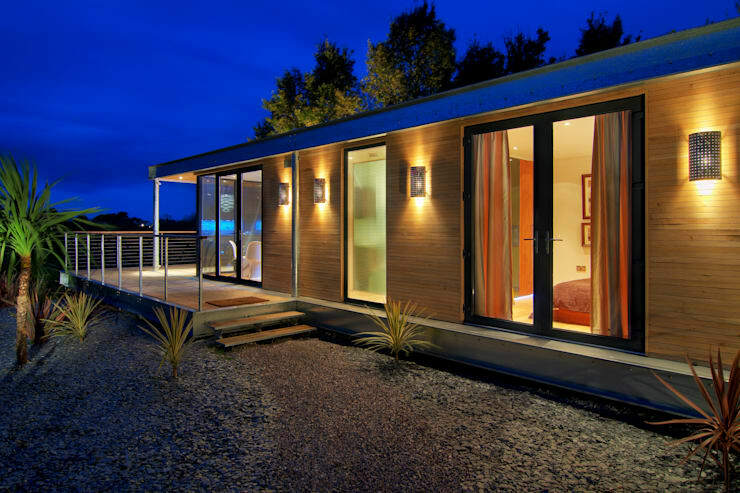 Prefabricated houses is one of the most valuable advancements in construction. These houses are built like blocks where the pieces are pre-made or fabricated at a factory which is usually off-site and then simply assembled at site. The choice of materials are varied and one can choose according to the budget. Concrete is strong and most favoured material when it comes to building houses but think of concrete beyond the traditional brick and mortar. Concrete sheets are perfect when you are short of time and have limited budget. There is less labour involved in building a house made of concrete sheets thereby reducing overall costs. Additionally, it gives a cleaner and sleeker look. Paint the walls or leave them bare for a unique look, just like this house. Stone cladding adds a unique touch, while still being easier on the pocket. It is light, easy and beautiful to look at. Use it in sections or for the entire house depending on what kind of look you want for the building. Container houses are gaining popularity as they are strong, sturdy, easier and faster to set up and most of all, cost so much less than a regular house. 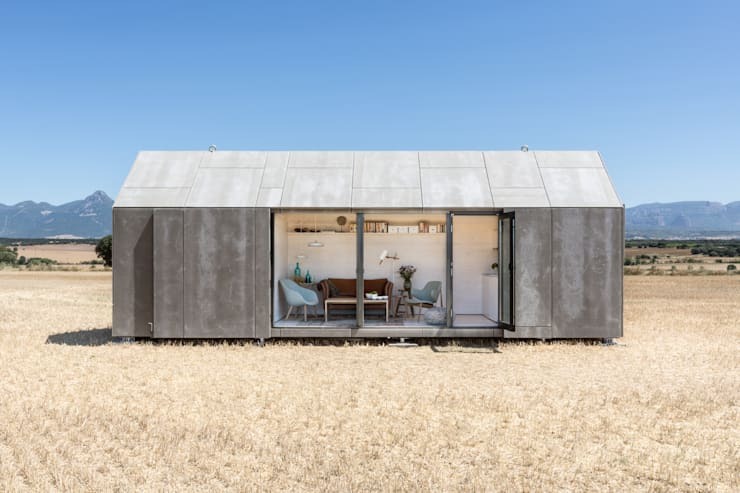 Container homes need not be associated with crowded low budget neighborhoods as creative designers and architects are offering amazing alternatives that can be suitable for every family. 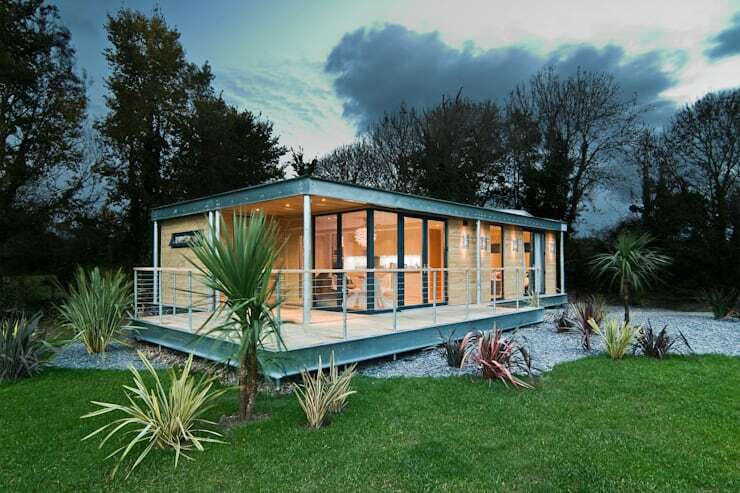 Still not sure about a container home? 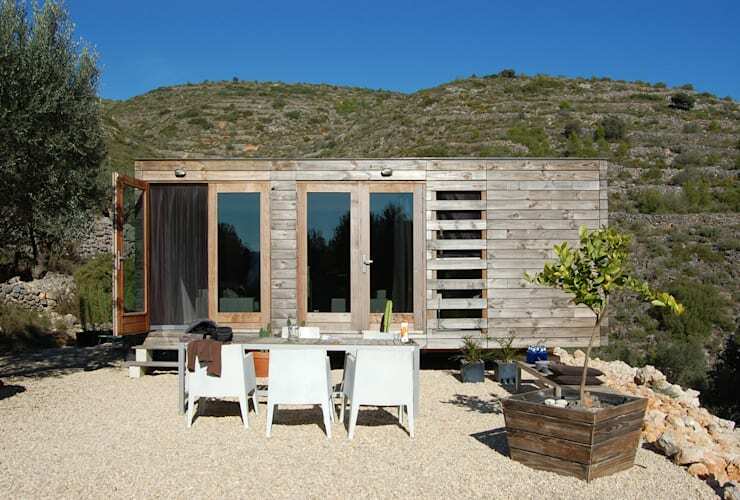 Then take a look at these beautiful container houses that will give you an idea of what is possible. Wood is an all natural material, and before you think of disposing off a useless wooden slab, think again. 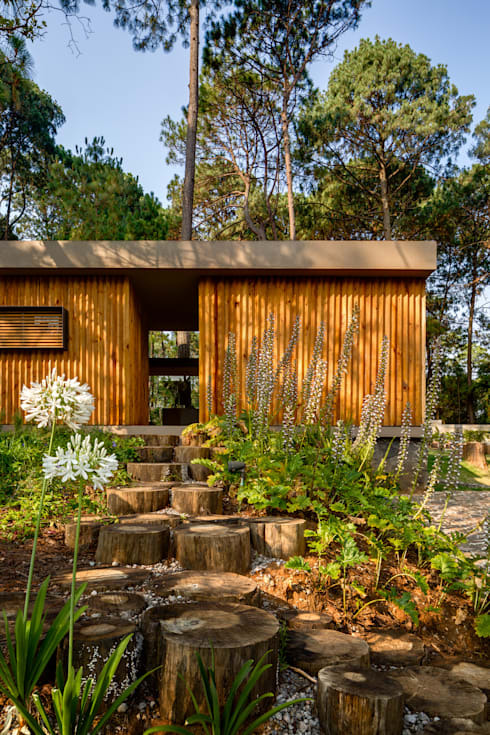 Wood can be an excellent building material. Recycle and upcycle wood and use it to create a beautiful house facade like this one. Cheap and beautiful at the same time. Metal doesn't really appear in the list of building materials but think of it, metal is really strong and can prove to be an excellent choice. Architects, designers and fabricators have collaborated on this kind of treated metal that not only looks stunning, it is fit for all weather scenarios. In no way does this look like a cheap building, when is actually is! Bamboo is one one of the strongest natural materials available. Use bamboo to not only create a rustic looking home, the all natural properties of bamboo ensure that the interiors are well insulated against extreme heat and cold. This country house in bamboo for instance, is truly idyllic and charming. Iron girders have become quite popular for their strength and support mechanism. Iron is versatile and easy to work with as well. It also allows construction on uneven surfaces ideal for hilly terrains. Needless to say, the modern design of this house is totally eye catching. Bricks are usually covered in concrete and then painted, however leaving the bricks exposed is also a great option. 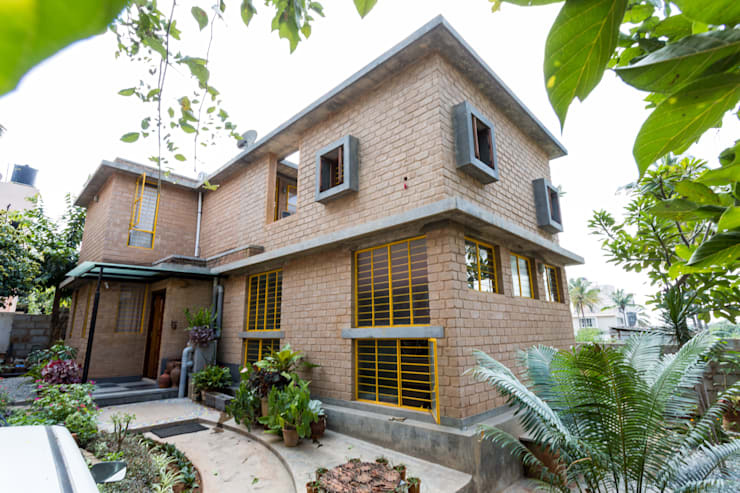 This not only saves time and money, exposed bricks lend a earthy look to the house design. Leave the bricks just as is, or they can be treated with a protective layer for added strength and insulation. Straw huts are a fixture in many villages (being a low cost building material), but the material can also be effectively used in city homes like this one. If not for the entire building, straw works very well as a roof. 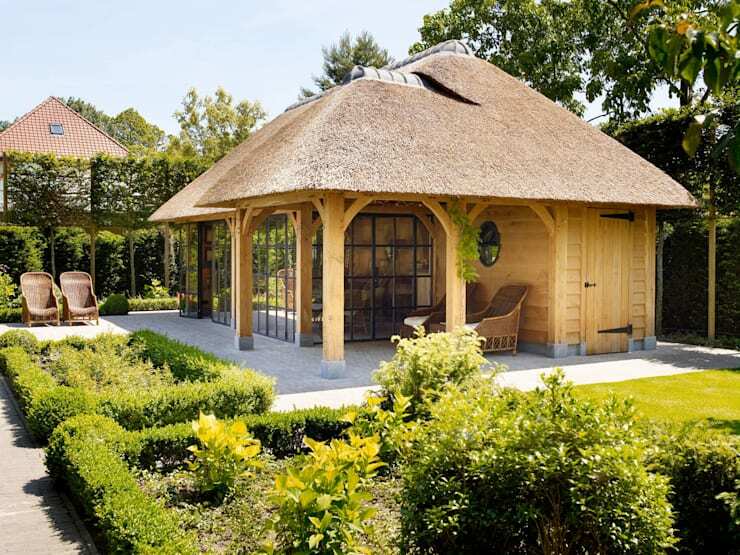 The thatched roof adds a rustic appeal to the house while also keeping it cool from inside during those hot summer days. Now this is definitely unique as the house is not made of stone but a huge stone has been excavated to create a space to build a modern house inside. 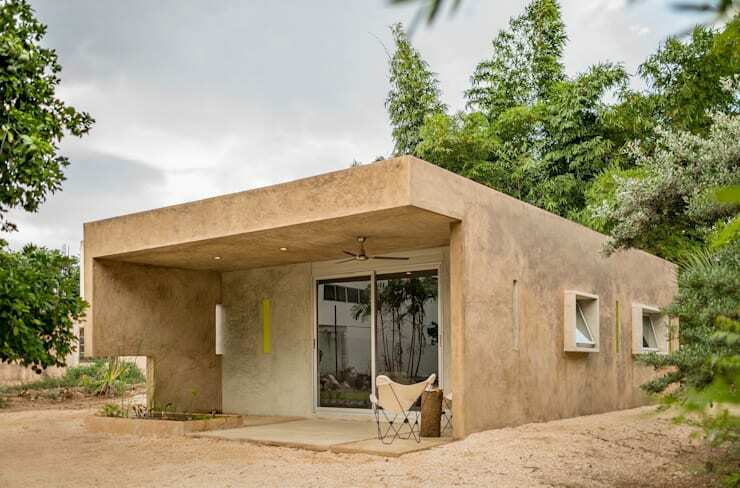 Creating a house entirely from stone can be a costly proposition, but this ingenious idea solves that problem as you only pay for the excavation work. You can now add stone to the list of cheap building materials. 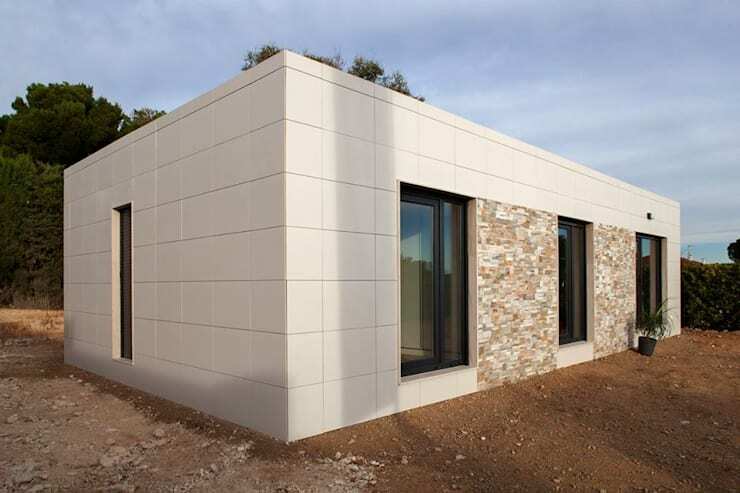 There is no doubt that concrete is the first choice for building homes. Keep it simple and you can lower your costs for building your dream house. By reducing the niches, windows and door outlets in the house, the labour cost involved in building this house is much less. Even with an unfinished kind of look, the house still is stunning in its simplicity and raw appeal.